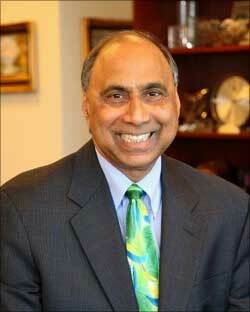 The Board of Directors of the Export-Import Bank, the official export-credit agency of the United States, has appointed Indian American entrepreneur and investor Frank F Islam, of McLean, Virginia, as a member of the Bank's Advisory Committee for 2010 to offer expert guidance on small businesses. The Advisory Committee of the Ex-Im Bank - an independent, self-sustaining federal agency that helps to create and maintain US jobs by financing the sales of US exports, primarily to emerging markets throughout the world, by providing loan guarantees, export-credit insurance and direct loans - provides the Bank with expert guidance from various sectors of the economy to strengthen its support of US exports. In fiscal year 2009, Ex-Im Bank set a record, authorising more than $21 billion in support of US exports to help ease tightened liquidity during the economic crisis. It also set a record for financing of small business exports at $4.36 billion in fiscal 2009. The Azamgarh, Uttar Pradesh-born Islam, who was raised in Varanasi and Aligarh, is the chairman and CEO of FI Investment Group LLC, an investment firm he founded in 2007, which focuses on providing growth capital to emerging companies, as well as managing specialized and branded funds. Previously, Islam was the founder and CEO of QSS Group, an information technology company based in Lanham, Maryland, which in 2007 was acquired by Perot Systems for $250 million in an all cash transaction. The company had revenues of approximately $260 million. Islam told rediff.com that as a member of the Ex-Im Bank's Advisory Committee, "I will advance President Obama's export-oriented economic agenda, which is to double US exports within five years, especially to Asian countries." He said, "With my background as a small business owner and a highly successful entrepreneur who built his government contracting business from one employee to over 2,000 employees and with an annual revenue of over $260 million when I owned QSS Group, I bring to the table a remarkable success story which can be invaluable to the Ex-Im Bank's effort to promote small business and through them exports to meet the President's agenda." Islam said that "in 12 years I grew QSS from the ground up from what was just a small support services company in information technology and aerospace engineering firm and grew it to unbelievable heights that made it possible to sell it to Perot Systems for $250 million in an all-cash deal." "This is the kind of business acumen and perspective I can bring to the Advisory Committee of the Ex-Im Bank," he said, "particularly since it is very interested in expanding US products and services to emerging markets like India, and of course, since I was born in India and am now an Indian American, and understand India's culture and its history and I am very much aware what clicks in terms of doing business with India, this is an invaluable value-add I bring to the table, especially in my specific small business expert guidance I have been tasked with." Islam said that in his capacity as the point man on the Committee for small business, "I will help small businesses, including the several hundreds on Indian American small businesses and entrepreneurs, get credit from the Ex-Im Bank, especially now when they have a tough time with the economy." "I will also help small businesses to find markets for their products and services in foreign markets, including in countries like India and the Middle East, where I have some excellent contacts," he said, and added, "the chairman of Ex-Im Bank, and of course the President is committed to make sure that small businesses can get credit so that they can expand their businesses so this is a no-brainer, because all of us know that it's small businesses that is the engine that drives the economy and creates employment." During the time Islam was running QSS, in 1999, he was recognized as Ernst & Young as Maryland Entrepreneurs of the Year, and in 2001, the US Small Business Administration selected him as the Small Business Person of the Year of the Washington, DC Metropolitan area and the Governor's Volunteer Service Award in 2009. For a period of six to eight consecutive years respectively, while he was at the helm of QSS, it was featured in INC 500, Washington Technology Fast 50, Deloitte & Touche Tech Fast 500 and Washington Technology Top 100 Federal Prime Contractors. Islam is also a long-time and well known philanthropist whose private foundation supports educational, cultural and artistic causes in the DC area and India. He has funded scholarship programs for deserving students with financial hardship at his alma mater Aligarh University and the George Washington University through the Frank Islam and Debbie Driesman Charitable Foundation named after him and his wife. Islam has also funded broad institutional support programs at GWU, the Robert H Smith School of Business at the University of Maryland, the Johns Hopkins University's School of Advanced International Studies and the Smithsonian Institution also through is charitable foundation. His funding has also extended to public policy research as leading Washington,DC think tanks like the Brookings Institution and the South Asia Center at the Atlantic Council, and currently services as a member of the board of directors of The Indus Entrepreneurs, Washington, DC chapter and the Strathmore Center for the Arts in Montgomery County, Maryland and is the founding chairman of the board of directors of Potomac Charities, Inc, also in Maryland, which is a broad purpose charitable organization with an emphasis on education and the arts. A staunch supporter of the Democratic Party, including the Obama-Biden campaign, Islam, who serves as a member of the Democratic National Committee's National Advisory Board has contributed over $200,000 to Democratic Party causes and candidates and PACs since 2007. Besides Aligarh Muslim University, where he took some college colleges before coming to the US in his late teens, Islam is an alumnus of the University of Colorado in Boulder, from where he received his BS and MS degrees in computer science. Before his success with QSS Group, he enjoyed stints with Raytheon and Computer Sciences Corporation.